Itou Takehiko, born in Kitami, Hokkaido Prefecture, Japan, is an illustrator and mangaka best known for his work on Seihou Bukyou Outlaw Star. He was also the primary creative mind behind Angel Links, the Future Retro Hero Story manga, and other works of fiction set in the Toward Stars universe. He also developed the original concept for NG Knight Ramune & 40. Itou is currently affiliated with Morning Star Studio. Neither his real name, nor his birthday have been made public. Some of his earliest works, including Good Morning Althea, were created under the pen name Black Point. 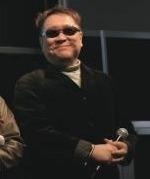 Many of Itou's animation works are credited to the name Hataike Hiroyuki.